The electric vehicle incentives in Finance Minister Bill Morneau’s 2019 budget are a “smoke and mirrors disappointment” that help demonstrate why North America is falling behind China and the European Union in the race to bring EVs to market, retired public servant Will Dubitsky argues in an analysis for National Observer. He adds that “Catherine McKenna, Canada’s environment minister, spoke of the ‘possibility’ of a target of 100% electric vehicles by 2040. But this isn’t much of a target, because EVs will reach purchase price parity between 2020 and 2025, and after that will be more attractive than gasoline-powered vehicles due to lower energy and maintenance costs. By 2040, Canada will be well on its way to seeing EVs dominate the market,” with or without government mandates. 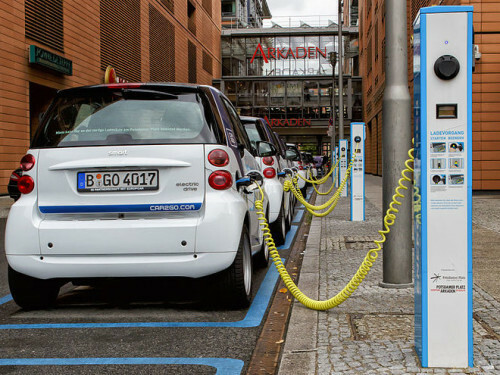 Dubitsky calls the EV purchase incentives in Budget 2019 “a halfway measure offering less than the consumer rebate programs elsewhere,” taking Ottawa to task for limiting the subsidy to models selling for $45,000 or less. He brands the $130 million over five years allocated for ZEV charging and refuelling stations “mediocre” compared to equivalent commitments in California and the EU. China, by contrast, has introduced a “complex system of credits and quotas” aimed at boosting EV sales from 10% this year to 12% in 2020 and 20% in 2025. Some cities are also restricting new registrations for internal combustion vehicles.